Recent years have seen the growth of many ‘ecosystem platforms’ for social entrepreneurs, which enable the entrepreneurs to access financial, technical and network support – thus accelerating the growth of entrepreneurship in the country. While these initiatives have helped mainstreaming entrepreneurship, they still reach to largely urban – or to well-established – entrepreneurial ventures. The challenge to expand the entrepreneurial ecosystem is: how does one reach countless small and fledgling entrepreneurial ventures in India’s small towns and rural hinterland? · Go Vernacular, Become “Unprofessional”: Language, and the professionally designed templates and formats (ppts, xls sheets, etc.) to access the ecosystem resources, remain one of the major entry barriers to the existing ecosystem platforms for many grassroot entrepreneurs. Large number of grassroot entrepreneurs are neither conversant with English, nor have the capabilities of showcasing their work through the templates, which are required to be used to seek entry/support into the ecosystem. Reaching them would require building-in vernacular languages, and more intuitive interfaces, into the ecosystem platforms. · Search, Identify and Showcase: A critical challenge in reaching the grassroot entrepreneurs is how to identify them. By their very nature and location, they remain “invisible” on the radar of existing ecosystem platforms. If the ecosystem platforms have to reach them, then it will be necessary to initiate processes (e.g., contests, citizen journalists’ forums, etc.) which help identifying them – and showcasing them on existing media channels (e.g., The Better India, Weekend Leader, Your Story, or even FB pages, etc.). · Connect – Create Partnerships: Grassroot entrepreneurs mostly operate in isolation, concerned mainly with the community/segment they serve. As a result, not only they lack access to sources of funding and technical advice, their own innovations are lost to the rest of entrepreneurial community. The challenge of developing a vibrant ecosystem would be to create platforms which allow entrepreneurs to connect with others, and find complementary partners. · Converge ‘Ecosystem Platforms’: One very positive development in the entrepreneurial space during last couple of years has been the emergence of many robust ecosystem platforms (e.g., Mahindra’s Spark the Rise, Intellecap’s Sankalp Forum, Villgro’s Unconvention, etc.). Similarly initiatives such as Be! Fund, BYST, etc., provide funding mentoring and technical support to entrepreneurs from the marginalized segments. These initiatives to build the entrepreneurial ecosystems, however, still operate as independent silos. A convergence and coordination among these can bring out the synergy and increase the reach to the grassroot entrepreneurs. 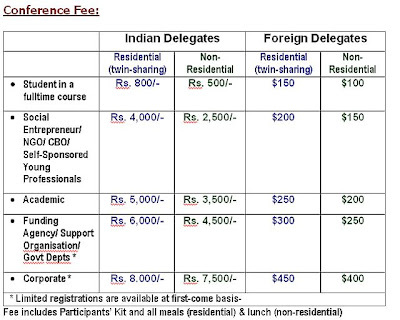 In the recent 4th National Conference on Social Entreprenurship @ XLRI (Jan 27-29, 2012 on the theme of Rural Revival, the Inaugural Panel was on the "Opportunities & Challenges". The three panelist/ speakers - Siddharth Tata (Agriculture Portfolio Manager, Acumen Fund - India), Paul Basil (Founder CEO, Villgro) and Pravesh Sharma (Managing Director, Small Farmers' Agribusiness Consortium) - spoke about the funding and support which is available in this space, and what their respective organisations have to offer. Make socio-environmental concerns and ethical fibre a non-negotiable part of admissions filter. If the primary reason why a student is joining an MBA course is to land up with a lucrative job, mere two years of teaching cannot change that mindset. Review program syllabi and course structure to align them to sustainability goals. For instance, a large number of courses in the management school syllabi focus on enhancing and managing “financial wealth”. This focus needs to be balanced by (1) highlighting the positive or negative impact the financial wealth creation had on society and environment, and (2) with equal number of courses (if not more) which focus on enhancing “social capital” and ”environmental capital”. 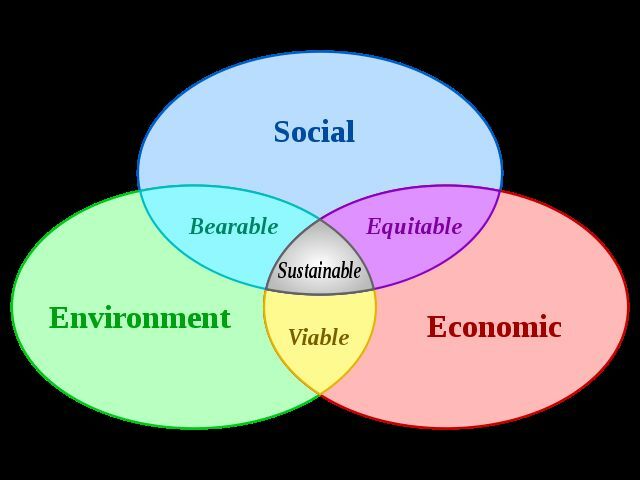 One of the reasons, perhaps, why students fail to appreciate the socio-environmental issues as impacting businesses, is because there are very few academic social science inputs in the course-work. While “Economics” (which provides a grounding in enhancing financial wealth creation) is taught, there is no “social science” dept., which provides a grounding in subjects like Sociology, Anthropology, Political Science, etc. This is particularly important in India, where increasingly most students come with a science/ engineering degrees, and increasingly solving business problems requires grounding in social science disciplines. Learning happens not just in classrooms, but also through living experience in the campus. What students see around them, in terms of how the institute is managed, can be a powerful learning message. Therefore, if the institutes themselves use green technology (solar power, rainwater harvesting, etc.) and recycle paper, books, etc., that itself will be teaching sustainability by example. Similarly, the institutes can themselves become example of “inclusive development” by promoting positive discrimination in their internal practices. Management schools can run allied community and environment-based programs, and make engagement by students a part of learning (perhaps evaluation, too) for the students. Introduce compulsory internship with a social/development sector organization part of the program structure. This would expose them to other options for careers which are more inclusive in approach and focus. 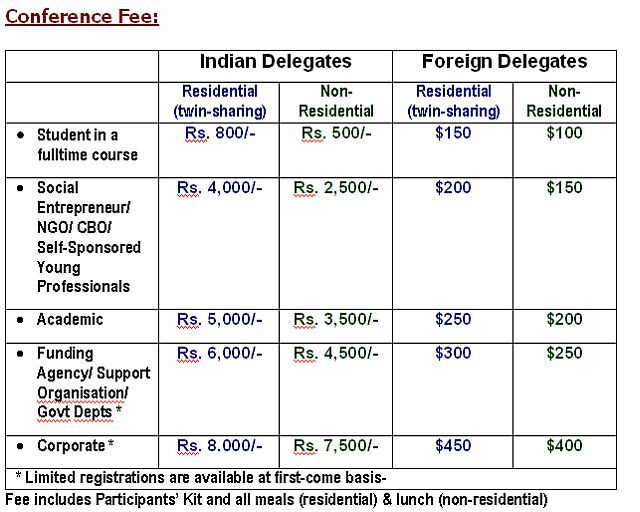 XLRI Jamshedpur is organising the 3rd National Conference on Social Entrepreneurship during January 28-30, 2011.
to showcase some of the young social entrepreneurial ventures. In addition, the design also includes ‘break-out groups’ to provide opportunity and space to facilitate focused interaction among the participants and the resource persons. Anirban Gupta is the co-founder of Dhriiti - an endeavor to promote and protect Small and Medium Enterprises (SME) and to build and create a spirit of entrepreneurship amongst the next generation of Indians. The core idea behind Dhriiti is to address the the urgent need and potential that is present in the rural and semi urban communities in India. Dhriiti works on the premise that if this potential can be exploited properly, it can yield tremendous results in the form of thousands of highly competitive small enterprises. Correspondingly, it focuses on the youth, and helps them promote small industries by equipping them with modern tools of management and technology. Anirban holds a bachelors degree from Delhi University, and is an alumnus of Xavier Institute of Management, Bhubneshwar (Rural Management Program). He joined Development Alternatives under their Leaders of Tomorrow Program from campus. He has also worked as a journalist, and with FODRA, a grassroot level NGO working in north east Delhi. Anshu Gupta founded Goonj in 1998, an organisation which recycles anything that is discarded as an urban “waste” into a resource for others in the rural and calamity-hit areas. Goonj collects about 20,000kg of clothes every month across India, and turns them into something useable for the very poor - clothing, bags, sanitary napkins, etc. - and reaches them to the needy across 20 states. Goonj achieves this by running collection drives (called ‘Vastradans’) in urban India where people donate clothes which they do not use anymore, but which are in good condition and can be worn. The clothes are processed and sorted in centres run by Goonj across the country. The processed clothes are then channelized through grass root NGOs and provided either free or under the ‘clothes for work’ scheme. Anshu Gupta is an alumnus of the Indian Institute of Mass Communication, and Masters in Economics. Anshu Gupta is an Ashoka Fellow and Ashoka Global Ambassador. For his work, he has been the recipient of Changemakers Innovation Award 2004 & 2006, World Bank’s Development Marketplace Award 2007, NGO of the Year Award 2007, etc. Ashraf Patel is a co-founder of PRAVAH, and the current Director of PRAVAH Learning Voyages, which offers real world learning opportunities to youth facilitators and organisations. PRAVAH works towards promoting youth development and active citizenship. PRAVAH directly intervenes with adolescents and youth and also provides institutional and capacity-building support to youth engaging and youth-led organizations. Ashraf is a post graduate in Human Resource from XLRI, an Ashoka Fellow and a trustee of the National Youth Foundation. She is also a working group member appointed by the Youth Ministry to make recommendations for the XIth plan. Vaatsalya is India's first hospital network focused on Tier II and Tier III towns. Vaatsalya provides affordable healthcare services to thousands of families across Karnataka through hospitals in Hubli, Gadag, Bijapur, Mandya, Raichur, Hassan, Mysore, Gulbarga and Shimoga. Aavishkaar was the first investor to come on board at idea stage, followed by Seedfund and Oasis Fund. When Dr. Ashwin Naik, 36, came up with the idea for Vaatsalya Healthcare in 2004, his dream was to get young doctors to come to small-town India. It was also the key to the success of his rather unique business model: world-class healthcare for rural and semi-urban consumers at rock-bottom prices. Deep Joshi is the co-founder of PRADAN (Professional Assistance for Development Action) which is the largest and most professional NGO in the country. He served as its Executive Director till '08. PRADAN was recognised with the India NGO Award 2006. For his work Deep was awarded the Ramon Magsaysay Award 2009, and was honoured with Padma Shree in 2010. Deep is also a member of National Advisory Council, and advises GOI on poverty alleviation strategies. An MTech from MIT (USA) and an MBA from Sloan School (MIT), he has worked with Ford Foundation before returning to India in early 80s. Inir Pinheiro is the Co-founder of Grassroutes, and has a combined interest in rural development and sustainable livelihoods. Grassroutes creates platforms for urban communities to experience authentic village experiences and reconnect with their roots and for the village communities to access and avail of sustainable livelihood opportunities thus conserving their way of life, cultures, biodiversities and knowledge systems. Grassroutes is working towards establishing a network of over 200 village tourism destinations across India, where tourism is owned, managed & run by the local village communities. For its work, Grassroutes was recognised with Villgro's Wantrapreneur Award - Start-Up category '1. Inir is a Post Graduate in Rural Management from XIM, Bhubneshwar, with over 5 years of varied work experience ranging from fund raising to rural tourism. Knids Green Pvt. Ltd. works towards reorienting the vegetable supply chain to reduce wastage, price spread, lead time of vegetable to reach the customers and customer transaction time. It has developed the unique model whereby both marginal vegetable growers and the vendors are organized in a formal way so that operation can be scaled up to a level where they can become a dominant force. Samriddhii, a brand promoted by Knids Green Pvt Ltd & Kaushalya Foundation for professionalizing and organizing vegetable supply chain of Bihar connects around 5,000 farmers from the villages in Patna, Nalanda, Ara and Jehanabad district with more than 500 vegetables vendors from Patna. Kaushalendra is an MBA from IIM, Ahmedabad, and was the MTV-Youth Icon '08, and the winner of Wantrapreneur Award - Early Growth Category, '10. Manisha Gupta is the Co-Founder and Director of launched Start Up! - a social venture which aims to demystify the business of "getting started", and partners with social entrepreneurs to incubate innovations, sculpt models, forge connections and raise resources to enable launch of new ideas and ventures. Manisha has over 17 years of experience in the fields of media, development and social entrepreneurship. She worked in Ashoka: Innovators for the Public, a global organization that launches social entrepreneurs. At Ashoka, she served as the country representative of India, and later as the International Director for a program on youth entrepreneurs. Manisha was part of the team that launched the Social Entrepreneur of the Year Award in India - an initiative of the Schwab Foundation, Nand and Jeet Khemka Foundation and UNDP. She has authored a book on ChildLine, India’s largest Child Rights movement. Manisha has served as strategic advisor and consultant to several social entrepreneurs and their social enterprises. Dr Nalini Gangadharan is the Promoter @ Chairperson of CAP Foundation, and a development professional with over 2 decades of experience in change management, scenario development, institutional building and resource mobilization for non-profits both in terms of funding, as well as technical and networking support. CAP Foundation imparts vocational and employability training to underprivileged and out-of-school youth. Apart from facilitating learning, these courses also enable the youth to acquire life skills needed for a positive education-work-life balance. It to provides education and life skills to a wide range of difficult-to-reach groups of disadvantaged youth through community based programmes spread across India, Nepal, Sri Lanka and Bangladesh. Nalini is a gold medalist from Madras University, and has earlier served as the Executive Director, Dr. Reddy's Foundation. Across her career, she has been responsible for path–breaking development initiatives, such as Clothes Bank, Livelihood Advancement Business School (LABS), Child & Police (CAP) Project, Teen Channel program for Linking Learning and Livelihood, Ek Mouka Employability Training (Workforce Development Initiative), etc. Neelam Chhiber is co-founder Industree, a social enterprise, and of the retail brand, Mother Earth, which together work on building up the production base, enabling artisans to become owners of their enterprise. Neelam’s efforts have aimed to build a the strong production and marketing platform that provides high-quality artisan-made products. By connecting rural producers to urban markets, it drives producer incomes upwards, increase potential of ownership in their own enterprises, which in turn will drive efficiency. The ventures work with a group of SHG's who invest their own working capital in their enterprises and who are provided assured orders, new designs, along with access to improved infrastructure, working capital, and business development skills. Neelam is an Industrial Designer from National Institute of Design, Ahmedabad, with more than 2 decades of hands on experience providing design, technical and marketing solutions in natural fibre and hand crafts. She is also an alumnus of Social impact International, as well as Global Social Benefit Incubator , Santa Clara University, USA. N K Chaudhary is the Founder-Chairman & Managing Director of Jaipur Rugs Company Pvt. Ltd, which specialises in hand knotted rugs. He also serves as the Trustee of Jaipur Rugs Foundation - an initiative for planning activities and actions to develop and empower the weavers to improve their standard of living. Jaipur Rugs was founded in 1978 with just two looms and nine artisans, and has evolved into one of India’s largest carpet exporters to25 countries across the world. It supports 40,000 artisans across 10 states in India. By elevating their status from mere wage earners to become business owners, it provides better ways to artisans, especially women below poverty line to earn more and lead a financially empowered life. Among many recognitions, NKC and Jaipur Rugs have been a recipient of ‘Sankalp 2010 Award’, 'Best SME Corporate Social Responsibility' by Business Today & Yes Bank, 'Indian Achievers Award for Business Excellence' by Indian Achievers Forum, ‘Corporate Social Responsibility Award’ by FICCI (2010), etc. Pooja Warier is the Co-founder and Director of UnLtd India that finds, funds and supports start up social entrepreneurs in India. UnLtd India is a seed fund and incubator for social entrepreneurs, which works with early-stage social entrepreneurs to help them to accelerate their progress, develop as leaders, and prepares their high-impact organisations for scaling and further investment. By engaging with almost all other investors and support organisations, UnLtd offers entrepreneurs a complete ecosystem of seed funding, incubation support and co-working space with which to launch their ventures. Pooja has a Masters in social work from the Tata Institute of Social Sciences, Mumbai, and is also the Co-founder and Director of Journeys for Change that inspires leaders and social entrepreneurs to create more impact through learning from some of world’s most exciting change makers. Previously she worked with a range of organisations and initiatives like the World Social Forum & M.V. Foundation. Priya Naik heads Samhita Social Ventures, a social business that aims to provide social organizations with access to funds, people, knowledge, networks and customers. Earlier, Priya had co-founded The Spark Group, an education company that delivered affordable education to low income communities. Samhita is a philanthropic initiative of the Nadathur Trust, founded by N.S. Raghvan, founder and former Joint MD of Infosys. Samhita, which means 'collective good', aims to create an enabling ecosystem for social organizations, donors, volunteers, service providers and other support organizations. Though it is meant for all stakeholders in the social sector, it primarily focuses on providing greater visibility, more resources and a support system for social organizations. Priya started her career in Accounting at Arthur Andersen in Mumbai, and has worked as a consultant with the International Finance Corporation in Africa. She has a Masters in Economics from Yale University, USA, a Masters in Public Policy from the University of Michigan, Ann Arbor, USA and a Masters in Commerce from Mumbai University. Rajiv Khandelwal is the Co-Founder and Director of Aajeevika Bureau, which is among the first attempts in north India to provide support services to the millions of unskilled laborers and migrants who seasonally move across the country in search of work. Headquarterd in Udaipur, the Aajeevika Bureau provides identity, skill training, placement, counselling and social security to rural youth at the threshold of migration and helps them become more successful and secure as they shift away for work from villages into urban markets. As a strategy the Bureau works with migrants at their rural source and also in their urban destinations. The Bureau also provides specialised micro finance service for rural migrant workers as well as has a robust vocational training and placement programme for migrant youth. Rajiv holds a bechelor’s degree from Delhi University, and post-graduate degree from Institute of Rural Management Anand (IRMA). He has earlier worked Centre for Environment Education. In 1998 Rajiv had also launched, Sudrak, a field research and advisory agency, which contributed to nearly 50 projects in various technical and advisory capacities. For his work, Rajiv was felicitated by Schwab Foundation with Social Entrepreneur of the Year Award ’10. Ramakrishna NK is the Co-Founder and CEO of Rangde.org, which is a peer to peer lending platform, which leverages technology to to lower the cost of microcredit and reach out to under-served communities. Rangde.org provides an online platform where the borrowers pay interest rates that are fair and the social investors can make a meaningful difference to other people's lives. Through a network of committed field partners and social investors, Rangde.org enables access to micro-credit to the underserved communities, thus creating a positive impact on business, education, health and environment of the borrowers’ communities. Saloni Malhotra is the Founder and CEO of DesiCrew, "a non-urban, socially motivated" enterprise, which provides IT enabled service centers in rural areas, employ and train local people to meet the back office demands of clients. With a social mission driving the business, DesiCrew focuses on generating wealth in the rural economy rather than extracting wealth from the rural areas. DesiCrew services span industries, geographies and multiple Indian languages/ dialects. Our back office services cater to verticals such as Insurance, Market Research, Internet & Mobile, E-Governance, and the Social Sector. It currently employs over 130 people across 6 centers in Tamil Nadu. Launched in 2007, Saloni's work with DesiCrew has been featured in leading newspapers and magazines across the globe such as BusinessWeek, BusinessToday, The Economic Times, Fast Company, The Hindu, etc. She was nominated for BusinessWeek's Asia's Youngest Entrepreneurs, MTV Youth Icon 2008, E&Y Entrepreneur of the Year 2008 and was also facilitated in the presence of the President of India by the CII. Saloni is an engineer from the University of Pune, and started her career in an interactive media start up, Web Chutney in Delhi, before founding DesiCrew. Elevar Equity is a leading global growth investor focused on the underserved four billion at the base of the pyramid in developing countries. It provides equity capital to entrepreneurs providing microfinance, financial and other services to customers at the base of the economic pyramid in emerging markets. Elevar invest in ventures which focus on customer, innovation, growth, and profitability combine to create opportunity and prosperity in local communities. The Elevar philiosophy revolves around investing for social and economic returns: returns based on open access for everyone to life changing services. Sandeep has an integrated law & arts honors degree from the National Law School of India University in Bangalore, India, and has worked with Nishith Desai Associates, before venturing into world of microfinance and investment. Prior to co-founding Elevar, he founded Unitus’ India operations in 2004, and also served as its Chief Innovation Officer at Unitus, test piloting ideas and projects on a global basis shaping Unitus’ long term strategy. He also serves as a Director of Madura Microfinance and has served as a Director of Ujjivan and Comat Technologies. In different capacities, Sandeep has represented or advised organizations such as Google, Amazon, Ashoka, Singapore Telecom and IL&FS Trust Company. Solomon JP has an engineering background and began his career in the electro-chemical processing industries. He later worked in Europe for an international youth exchange organization. Back in India in 1989, Solomon founded MAYA with a focus on children’s rights and the eradication of child labor. They work with the state government of Karnataka to recruit parents and communities across slums and villages to take ownership of public schools. In 1992, he developed a youth-at-risk training workshop for those living on the streets of Bangalore, a program adopted later by many other organizations. In 1996, Solomon created a common platform for numerous children’s rights groups to come together and campaign against child labor. MAYA also developed an education reform program, which operates in several thousands of schools in the states of Karnataka and Andhra Pradesh. In 2004, Solomon spun-off MAYA ORGANIC, a network of collective enterprises run by the working poor, which produce competitive, market quality products. MAYA Organic facilitates each business’ engagement with the mainstream market, enabling it to negotiate, make a profit, and thereby benefit the whole group. In 2005, Solomon founded LabourNet, meant to create and enhance job opportunities for the informal sector service workers in urban areas. LabourNet connects jobs and workers, improves work systems at job sites, encourages skill development, and provides access to social security. He was elected as an Ashoka fellow in 2006. In February 2010, Solomon JP joined the Ashoka team as the new Country Director in India. Tarun Agarwal is Director Promoter of FINO Fintech Foundation, a Section 25 company, which is a national level BC for FINO (Financial Inclusion thru Technology Oriented solutions). FINO is a technology start up incubated by ICICI Bank& promoted by IFC. The organisation provides a combined technology-and-distribution channel to the banks to enable a rapid reach-out to the under-banked populations of India for identifying and enrolling new customers in geography of bank’s choice, as well as supporting subsequent transactions for these customers. It promotes sustainable livelihoods for the rural poor and underserved classes by helping them become economically self-reliant, through the provision of Financial and Insurance services and technical assistance in an integrated and sustainable manner. Tarun Agarwal is an ICWA, and holds a post-graduate diploma in Financial Management from IMT Ghaziabad and an MBA degree. Prior to FINO, he has earlier served a Chief Manager (Business Development), SBI and as Chief Manager (Agriculture Technology Group), ICICI Bank. Vijay Pratap Singh Aditya is a development professional with hands-on experience in institution development, development research, communication systems and grassroots networking. He has considerable experience in developing systems and platforms for enabling enterprise support. He co-founded Ekgaon Technologies where he serves as the Chief Executive Officer. Ekgaon Technologies focuses on affordable and appropriate open source software solutions, and designs and develops technologies and information systems to meet the needs of developing communities. As more and more companies compete for the “bottom of the pyramid” markets in rural India, Ekgaon’s technological solutions force private companies to compete fairly and offer better services to their rural customers. In return, Ekgaon’s platform offers these companies the aggregated consumer information they need to develop stronger and cost-effective products and services. Ekgaon Technologies’ work has won a number of recognitions and awards, which include NASSCOM Social Innovation Honours 2010and Dell Small Business Excellence Award 2009. Vijay is an Electrical Engineering Graduate with a Post-Graduation in Management from the Indian Institute of Forest Management, Bhopal. Vijay Shukla is the Co-Founder of Setu Ventures, a firm that provides professional and financial assistance to early stage companies and entrepreneurs, and has over 15 years of industry experience (with Steel Authority of India, E&Y and GlaxoSmithKline). Vijay specializes in the areas of strategy, business development, consulting and engineering, and is interested in the areas of value creation, technology, entrepreneurship and education. He is a ‘parallel entrepreneur’ and has earlier co-founded Eduvisors, India’s largest education sector focused business consulting and research services company, and ValueFirst, India’s leading enterprise mobile data services company. Vineet Rai is a founder and the CEO of Aavishkaar – a micro venture fund which seeks to nurture and initiate creative thought processes at the grassroots level and convert them into thriving enterprises. The primary focus of Aavishkaar is to effect change by promoting growth of grassroots ideas and enterprise. Rural entrepreneurs face an uphill task of crossing the first threshold of taking an idea beyond the point of an experiment into a successful business. Even limited resources, in terms capital, business knowledge and a certain degree of hand-holding, applied at the right juncture go a long way in transforming local ideas into sustainable businesses. Aavishkaar provides such resources to transform nascent rural and semi-urban ideas into coherent business entities by funneling resources at the point and time where they can be most effective. Prior to Aavishkaar, Vineet was a founder and the CEO of GIAN, an incubator for rural innovations and ventures based in Ahmedabad, Gujarat. At GIAN, he was responsible for identifying, evaluating, nurturing and launching grassroots innovations based micro level enterprises for poverty alleviation. Vineet holds a Post-Graduate diploma in Forestry Management from Indian Institute of Forest Management, Bhopal. Vishal Talreja is the Co-founder & Director of Dream A Dream, a venture which empowers children from vulnerable backgrounds by developing life skills while at the same time sensitizing the community through active volunteering leading to a non-discriminatory society where unique differences are appreciated. Dream A Dream is a professionally-run Public Charitable Trust, and provides children from vulnerable backgrounds with non-traditional educational opportunities designed to allow them to explore, innovate and build important life skills. These life skills are fundamental to child/youth development and to the successful transition into adulthood and becoming fully functioning and productive members of our society. It works through partnership with 9 NGOs, 1200+ volunteers, and imparts life-skills - interpersonal skills (e.g., teamwork, communications, negotiation and coping skills), cognitive skills (e.g., decision-making, problem solving and critical thinking), creativity, confidence, self-awareness and a passion for learning – among children from marginalized communities. Formerly an investment banker and venture capitalist, prior to founding Dream A Dream in 1999, Vishal worked with Xerox and co-founded an investment bank, Technology Holdings. Vishal is an Ashoka Fellow and also sits on Boards of many organizations including UnLtd India, ITIHAS and Bangalore Cares.